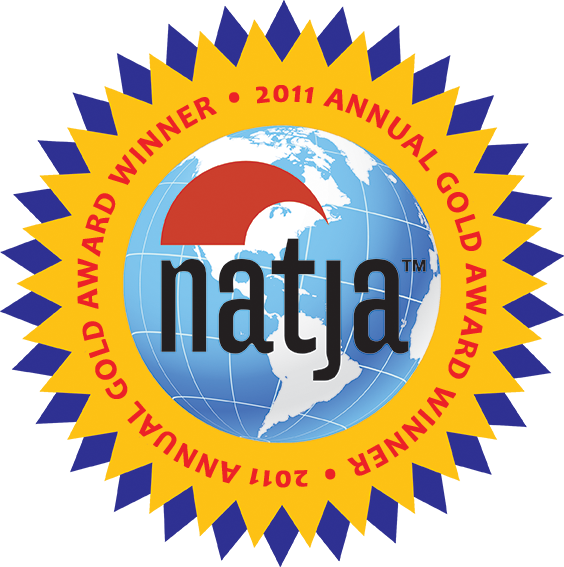 “Go BIG or Go Home” wins two NATJA Awards! So I was really satisfied – and well, proud – to find out yesterday that I won two awards – a gold and a bronze — from the North American Travel Journalists Association (NATJA) for two posts I wrote last year! We earned the gold in the “Internet / Family Travel” category for this post about our visit to The Big E, or the Eastern States Exposition. It’s the state fair of Massachusetts and several other New England states, and it’s where you’ll find the world’s largest traveling amusement park, the North American Midway. 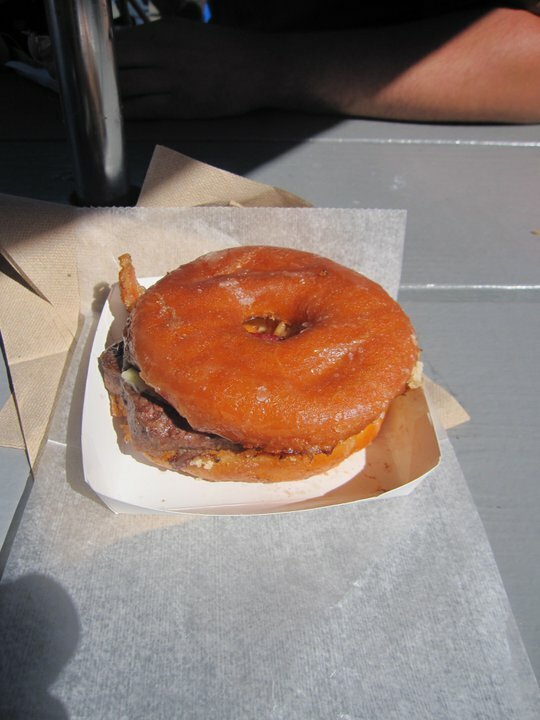 The highlight of that trip, however, was trying the Craz-E burger — a bacon cheeseburger sandwiched between two halves of a glazed doughnut. When Matt set his eyes upon it, he got a glint in his eye I haven’t seen since our first date. “Lustful” is an apt description. 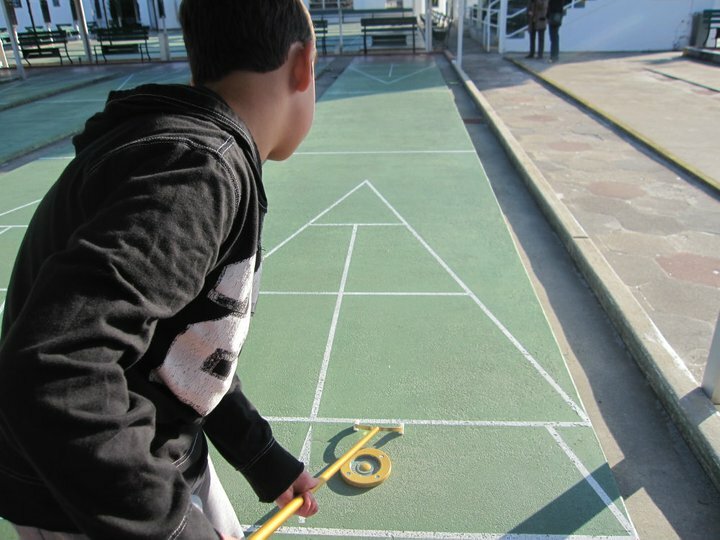 I have a soft spot for the St. Petersburg Shuffleboard Club. This post earned a bronze in the “Internet / Historical Travel” category. The Mirror Lake Shuffleboard Club, an Art Deco gem which opened in 1923, is the world’s largest shuffleboard club, and the nation’s oldest. It’s also where I learned I have some pretty mad shuffle skills. Thanks for continuing to read our blog. You know, the website. On the internet. Congratulations, Traci! So well deserved! We hope you keep on visiting amazing attractions in 2012 and beyond. Does the Hudson Valley lay claim to any of the worlds; largest, well, anything? Just wondering! I’ll be contacting you re touring Locust Grove Estate soon! Congratulations!!!!! Keep up the good work…..remember The Biggest and The Best is yet to come. That is, be found by YOU!!!!! That’s AWESOME! No surprise really, you’re an amazing writer, you have a way with words that makes people smile! The gold is outstanding, and the bronze gives you something “BIG” to aim for! Congrats! Congratulations Madam Blogger. A well-deserved accolade. A well deserved recognition! I’m a vacation homeowner and one of my properties is near the world’s largest thermometer…have you been? My property is on sites like HereStay and HomeAway…thanks! Congratulation..You inspire beginner like me.